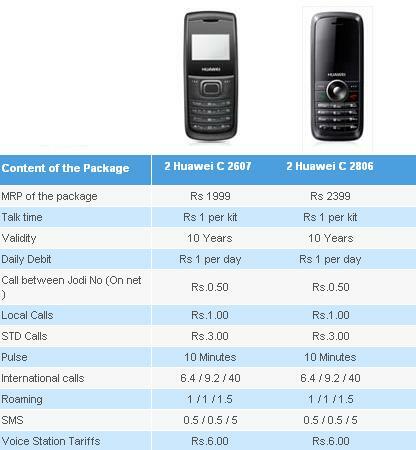 Tata Indicom is offering a bundeled pack containing two handsets with consecutive numbers, having intercalling rates of 50 paise/call (yes, it is 50 paise/call with a pulse of 10 minutes). 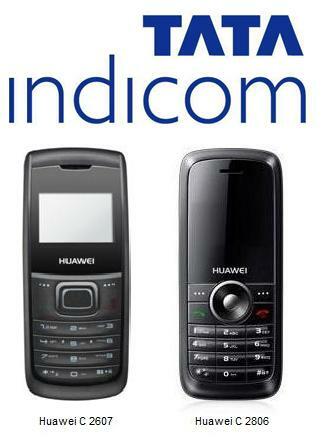 Customers are given the choice of two handsets ranging from the black and white display piece – Huawei C 2607 to the color display piece – Huawei C 2806. The additional information is detailed in the table below.